We love putting more money in your pocket. And Leadership Bonus gives us the chance to do just that. Each week we pay our top leaders a little something extra. Or, in some cases, a lot extra. With Leadership Bonus, qualified Gold Directors and above earn a cut of three percent of our worldwide commissionable sales each week. And that’s on top of what you make in regular commission payments and other bonuses. Sounds pretty amazing, right? Well, it is. And here’s how it works. Be a Gold Director or above. Remain active by generating at least 100 points in Personal Sales Volume (PSV) for 1 Business Center and 200 PSV for 3 Business Centers during the current four-week period. Be available to your team by phone or other means of communication. Actively train and supervise your team. Do not participate in any other network marketing company. You build your business in the way that works best for you. Leadership Bonus qualification gives you similar flexibility. Each sponsored Associate who earns their first commission check advances your Leadership Bonus qualification date. Whether you’re vested or not, each Sharer earning their first check will advance your qualification four weeks. If you’re vested, a sponsored Associate earning their first check at Believer will advance your qualification 13 weeks. And if you’re vested, you can also earn an additional nine weeks of qualification when a personally sponsored Associate who earns their first check from USANA at the Sharer level goes on to earn their first check at the Believer level within 26 weeks of their initial commission check. So it doesn’t matter whether you achieve this with one Associate per month, or by helping multiple Associates in the same week. It’s up to you. Jane is an active Gold Director who is qualified for Leadership Bonus. Last month she helped two personally sponsored Associates earn their first checks as Sharers. This month she didn’t have any, but she’s still qualified for Leadership Bonus. To stay qualified for next month, she will have to help a personally sponsored Associate earn his or her first check as a Sharer. Nick is a Diamond Director who is qualified for Leadership Bonus and is vested. He knows every 13 weeks he needs to help one personally sponsored Associate earn his or her first check at a Believer level, but he wants to take care of his qualification for the year. So in one month he helps four personally sponsored Associates earn their first checks as Believers. When they each earn that check, Nick is qualified for the year. Jane is a vested Emerald Director. She personally sponsors a new Associate who earns their first check at the Sharer level. This earns Jane four weeks of Leadership Bonus qualification. Then—with Jane's help—that new Associate earns their first check at the Believer level 15 weeks later. So Jane will now be qualified for an additional nine weeks of Leadership Bonus. The amount of your Leadership Bonus is determined by the number of shares you earn, which is done by maxing Business Centers (BC). Think of the three-percent bonus pool as a pie. Each share is a slice of the pie. So the more shares you earn, the more pie you get. Only instead of pie, it’s cash, which is way better. As a qualified Associate, it’s all about maxing BCs. You will be eligible for Leadership Bonus on Business Centers you max for at least two consecutive weeks—this week and the previous week. But we give you one exception: We’ll count one maxed BC as a “Developmental Center” and pay you the bonus for it even if you didn’t max that same BC during the previous week. There is a limit to the number of Business Centers you are allowed to max (for which you will receive Leadership Bonus). This number depends on your current rank, plus the additional Developmental Center. **Add one to the number of BCs your current rank is allowed to max. That will give you the total number of Business Centers for which you can receive Leadership Bonus, including the Developmental Center. The number of Leadership Bonus shares you earn depends on how many Business Centers you max (both during the current week and the previous week). The value of shares is determined each week by taking the three-percent Leadership Bonus pool and dividing it by the total number of qualified shares. So if the pool was $200,000 and there were 1,000 shares between all the participating Associates, each share would be worth $200 (200,000/1,000). Chuck, a 1-Star Diamond Director, maxed the same three Business Centers this week as he maxed last week. Let's say the share price this week was $203. 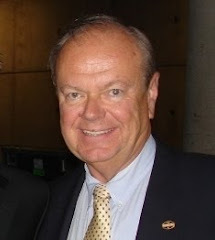 Chuck would receive 6 shares totaling $1,218 (6 * 203) for the week in Leadership Bonus. Remember, this is in addition to his regular commissions! Now let's say Chuck still maxed the same three BCs each week (including this week), but he also maxed a fourth BC this week, which he didn’t max last week. Because we count one BC as a Developmental Center, Chuck will still receive a Leadership Bonus for that fourth BC. This means he will receive 10 shares totaling $2,030 (10 * 203) in Leadership Bonus for the week. Notice how maxing four Business Centers instead of three makes a big difference in Chuck’s check. Suppose in example #2 Chuck had maxed two additional BCs, which he didn’t max the previous week (along with the three BCs he has maxed each week). He would still receive 10 shares totaling $2,030 in Leadership Bonus for the week. This is because only one additionally maxed BC may be counted as a Developmental Center. If, however, Chuck maxes those two additional BCs the next week as well, along with the three BCs he maxes each week, he would then receive 15 shares for maxing all five Business Centers (for a total of $3,045, if the share price were to remain the same). When you’re thinking about qualifying for Leadership Bonus, the date of enrollment for your personally sponsored Associate doesn't matter—his or her first check date is what qualifies you, as well as the level they are at when they earn that first check. Each time you help a personally sponsored Associate earn his or her first check—and remember, it has to be at the Sharer level or above—your Leadership Bonus Qualification Date moves forward. Whether you’re vested or not, that’s four weeks for Sharers. Only vested Associates will receive 13 weeks for Believers. You can see your Leadership Bonus Qualification Date in Team Manager. Be sure to track it to avoid missing out on your shares. Consistency is the key to Leadership Bonus. And that’s totally intentional. 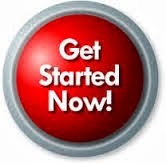 We designed the program to incentivize you to build strong, solid Business Centers before moving on to build new ones. Fluctuations in the Business Centers you are maxing—having three BCs one week, then none the next, and one the week after, etc.—will keep you from earning your total potential with this bonus. Remember, we cap qualification at 52 weeks. 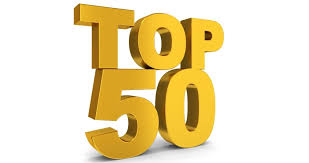 So you if you are already qualified for a year of Leadership Bonus, any personally sponsored Associates who earn their first check from USANA at Sharer or Believer will not extend your qualification past the 52-week mark. Here’s a quick example: Chris is a vested Diamond Director. She has qualified for 50 weeks of Leadership Bonus. When an Associate she personally sponsored earns their first check at the Sharer level, she will not get the full four weeks of qualification. That’s because it only takes two weeks to push her qualification out to 52 weeks, and she can’t qualify for more than a year at a time. 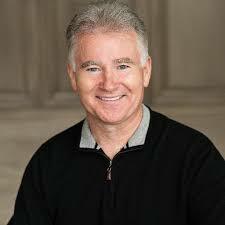 If you’d like to find more great prospects for your network marketing business, then you need to check out Michael S. Clouse’s MLM prospecting ideas, skills and techniques. Want Greater Success? Fail More Often! USANA ASSOCIATES - SPECIAL ANNOUNCEMENT! 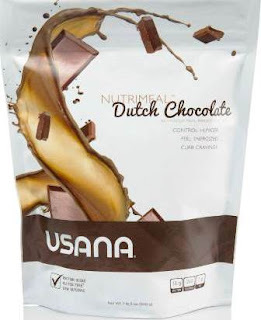 Today, 12.16.2016, Lori Truman announced on USANA United States Golds and Above that USANA is bringing back two NUTRIMEAL favorites: DUTCH CHOCOLATE & FRENCH VANILLA! This is NOT for a limited time - These products will be available to order now or place on your auto orders. ***Please share this special announcement with you team members. SALT LAKE CITY, Dec. 15, 2016 /PRNewswire/ -- Today, USANA announced the promotion of three executive directors to vice president of their respective areas. Ashley Collins, former executive director of PR & social media, has been named vice president of marketing & PR; Amy Haran, former executive director of communications, has been named vice president of communications; and Howard Gurney, former executive director of quality systems and regulatory affairs, has been named vice president of product development process. "I have had the pleasure of working with these proven leaders for many years now and know firsthand their dedication and commitment to our employees, stakeholders, distributors and customers," said Kevin Guest, CEO of USANA. "These talented and ambitious individuals have been essential in hitting key benchmarks within the company and will continue taking us to the next level of excellence." Ashley Collins began her career at USANA in 2000 and quickly became recognized as a trusted leader within the organization. Collins has successfully managed major campaigns, developed and cultivated relationships with athletes, celebrities, and other influencers and has played a critical role in the success of The Dr. Oz Show sponsorship. In her new role, she will continue leading PR and social media, but will also steer USANA's marketing and digital marketing teams. Newly named vice president of communications, Amy Haran, has worked in content marketing and communications at USANA for 13 years. She has been integral in expanding global internal communication efforts and developing long-term communication strategies to support the company's global initiatives. In addition to overseeing digital communications for USANA's 1,300 employees and 400,000 distributors worldwide, Haran will also guide the customer service, translation and content creation teams. Former executive director of quality systems and regulatory affairs, Howard Gurney, has had a successful career leading and managing the regulatory team to ensure government and public relations are in good standing. As vice president, Gurney will supervise the streamlining of the product development process across many departments at USANA in addition to overseeing quality assurance, quality control, regulatory affairs and regulatory systems. USANA congratulates these outstanding individuals on their new positions. 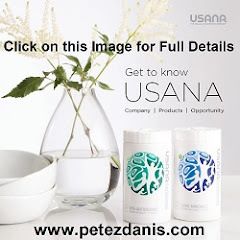 For more information about USANA, go to USANA.com. What Changed in the USANA Essentials/CellSentials Formula? Recent research has indicated that some individuals have a limited ability to convert beta-carotene to vitamin A. Excess body weight can also reduce the efficiency of conversion, and there are genetic polymorphisms that decrease the ability to convert beta-carotene to vitamin A. Individuals may have different abilities to convert provitamin A carotenoids to vitamin A. These differences in conversion efficiency may be due to the genetic variability in beta-carotene metabolism of individuals. Consequently, provitamin A carotenoids alone may not be a good vitamin A source for those individuals of the poor converter phenotype. A combination of multiple sources of vitamin A activity ensures that the CellSentials provide an advanced dose of vitamin A to everyone, regardless of genetic differences. The Essentials provided vitamin E primarily as alpha-tocopherol. The CellSentials provide a more balanced approach to vitamin E activity with a lower dose of alpha-tocopherol and a much greater dose of mixed tocopherols (gamma, delta, and beta-tocopherols), all of which supply vitamin E activity. In addition to their vitamin E activity, mixed tocopherols also serve as antioxidants and have a variety of biological activities that alpha-tocopherol alone cannot provide. Providing a broad range of tocopherols offers a valuable addition the health-supporting nutrients included in the new CellSentials. The CellSentials have a much larger dose of vitamin K than the Essentials. The CellSentials also have the addition of vitamin K2. Vitamin K is an essential nutrient required for the normal biosynthesis and activation of several key proteins. It influences the level of osteocalcin in bone-forming cells, and may play a role in preventing postmenopausal osteoporosis. Vitamin K2, also called menaquinone, is produced by bacteria, including some found in the human intestinal tract. Research has shown that supplementing additional vitamin K2 may provide additional bone and cardiovascular health benefits. The CellSentials have much greater dose of iodine than the Essentials. Iodine is crucial for the production of thyroid hormones. Dietary surveys have shown that many people are becoming increasingly deficient in this important mineral, especially those limiting their salt intake. The CellSentials InCelligence complex has a much greater dose of Meriva curcumin, green tea extract, quercetin, hesperidin, and N-acetyl L-cysteine. The individual components of the InCelligence complex each have unique health benefits and antioxidant protection. As a whole though, these phytochemicals can influence endogenous antioxidant production and cell signaling pathways to help promote healthy cell lifecycles. The CellSentials have an increased dose of alpha-lipoic acid, and resveratrol was added to the complex . The previous AO booster contained both alpha-lipoic acid and resveratrol. These ingredients are now included in the CellSentials InCelligence complex, in doses greater that were found in the separate AO booster. Resveratrol is a polyphenol found naturally in the skin of grapes, blueberries, raspberries, and mulberries. It is an antioxidant that may play an important role in supporting cardiovascular health. It is also an important part of the CellSentials InCelligence complex, as research shows that it may have an impact on endogenous antioxidant production and cell signaling pathways to help promote healthy cell lifecycles. 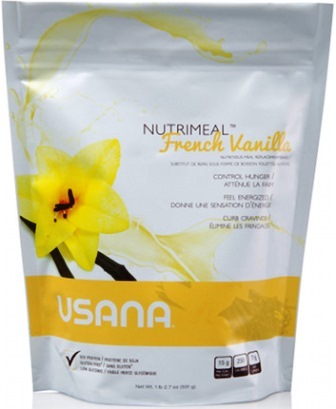 USANA has always provided an advanced dosage of folic acid to ensure protection against neural tube defects. However, food fortification of folic acid has increased dietary intakes significantly. The folic acid dosage was lowered to a significant, but more moderate level to account for the increased dietary intake and to make room for increases in other important nutrients. Average choline intakes for men, women, older children, and during pregnancy are far below the Adequate Intake established by the Institute of Medicine. Choline is necessary for neurotransmitter synthesis (acetylcholine), cell-membrane signaling (phospholipids), lipid transport (lipoproteins), and methyl-group metabolism (homocysteine reduction). It is the major dietary source of methyl groups via the synthesis of S-adenosylmethionine. The CellSentials Core Minerals contains Calcium Ascorbate and Magnesium Ascorbate, two good bioavailable sources of these minerals. The use of Calcium Ascorbate and Magnesium ascorbate also moved much of the vitamin C from the Mega Antioxidant to the Mineral. As such it has multiple benefits. It provides both minerals and vitamin C in one tablet, in highly bioavailable forms, and it gave us more room in the Vita Antioxidant tablet to add some very important nutrients (such as the InCelligence Complex, increased choline, mixed carotenoids, additional mixed tocopherols, and additional vitamin K).